Helping their customers address IT complexity, tool sprawl, and lack of visibility. GDIT created an integrated IT framework using SL1, a leading hybrid IT monitoring, automation platform for AIOps. General Dynamics IT (GDIT)’s journey to help their customers achieve IT modernization – and the challenges they encountered along the way – are all too familiar for Federal agencies. It’s a story centered around the quest to achieve increased operational awareness. But in the complexity of many IT environments and efforts to migrate to the cloud, visibility gaps emerged, necessitating the use of multiple infrastructure monitoring and management tools; all managed within technical silos. 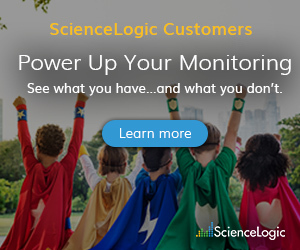 To help customers address their complexity, tool sprawl, and lack of visibility, GDIT created an integrated IT framework using ScienceLogic SL1, a leading hybrid IT monitoring and automation platform for AIOps, at its monitoring core. With the complex mix of clouds, containers, software-defined X, microservices, serverless computing, and virtualization, there’s no question that today’s IT operations teams (IT Ops) are experiencing a historic shift. New technology promises to increase business agility, but it also brings unforeseen consequences for mission-critical IT service delivery as the ephemeral nature of today’s IT environment makes management of operations a daunting task. Among the requirements of modern ITOps is the ability to monitor the entire IT stack intelligently and automate discovery, integrations, remediation, and analytics for action. Here’s the rub – traditional monitoring tools, built for the mainframe era to address specific technologies, can’t get the job done in today’s complex IT environments. And, incompatible data from multiple disparate tools can’t easily be rolled-up and fully leveraged to gain useful insights to benefit the mission. That’s why, as with GDIT’s integrated IT framework (Atlas), many IT operations teams are turning to Artificial Intelligence (AI) and Machine Learning (ML) while addressing the challenges of software-defined data center (SDDC) technologies. To keep pace with mission requirements and the dynamic state of IT today, IT Ops needs to work at machine speed, drive automation, and create a common operating environment that automatically and securely manages all compute, storage, and network resources. Consider whether you currently have the right platform to optimize the use of AI/ML and ease the complexities of SDDC to enable ITOps to deliver better business outcomes. 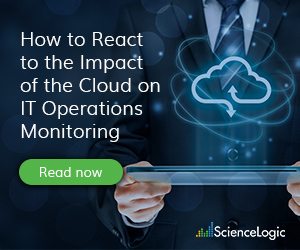 GDIT placed ScienceLogic at the center of their new AIOps monitoring integration framework because it can see, contextualize, and act in heterogeneous, ephemeral, multi-cloud environments to support common and new use cases. SL1’s auto-discovery, out-of-the-box integrations, and ability to take automated action help IT organizations achieve results that legacy tools cannot. 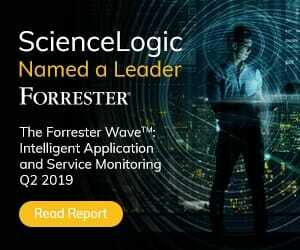 To learn how ScienceLogic can support your journey to AIOps and enable modern IT service delivery/shared IT services, check out our whitepaper: AIOps: A Guide to Operational Readiness. Continue the conversation and hear ScienceLogic’s insight during the “Emerging Tech Spotlight – Accelerating Business Outcomes through AIOps” session at GDIT Emerge on April 23. Register today.